Poultry processors and producers at IPPE 2013 experience first-hand the strength and durability of sustainable wax-free Greencoat® boxes at International Production & Processing Expo (IPPE). 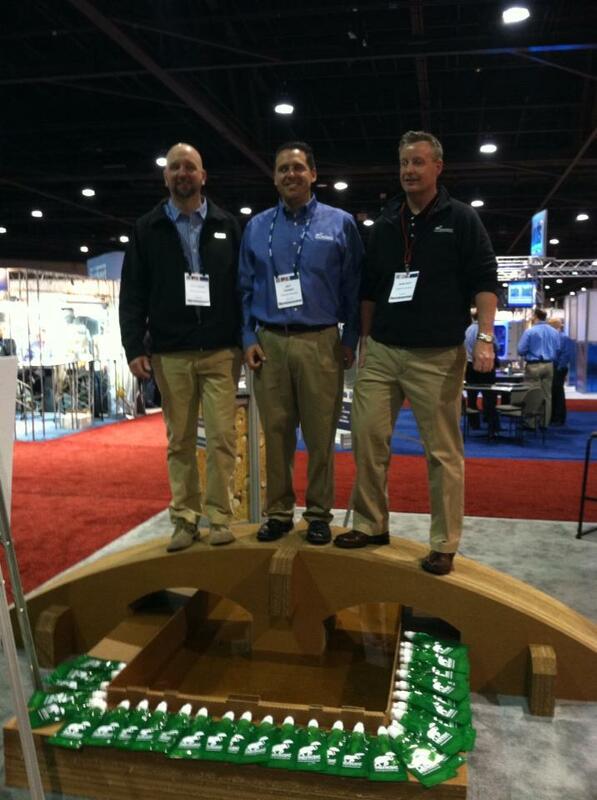 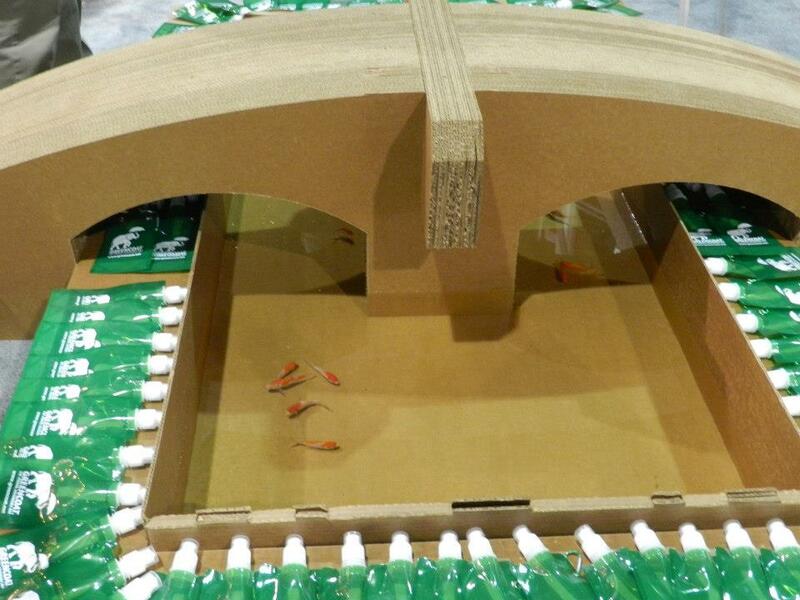 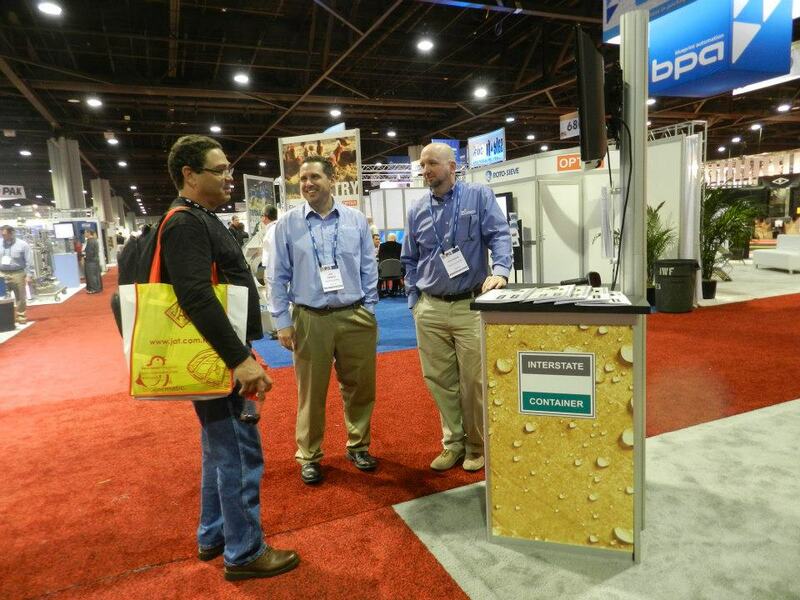 During IPPE 2013, Interstate Container booth visitors tested Greencoat®’s strength and water-resistant properties by walking across a life-size Greencoat® corrugated bridge and pond display, as well as watching videos about the corrugated box’s properties. 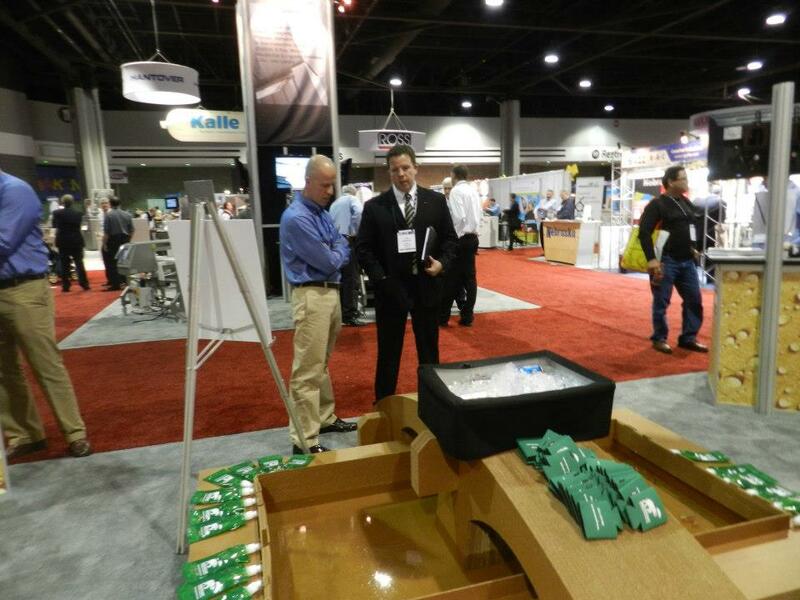 Visitors learned how Greencoat® can reduce costs and cut box room waste in half at the event, which took place from January 29 - 31 at Georgia World Congress Center, in Atlanta, GA.
Interstate Container representatives also met with IPPE attendees to discuss and evaluate current sustainability program, as well as look into how Greencoat® can improve their environmental impact. At the event, attendees learned about Interstate’s new Columbia, SC facility, as well as how Interstate Container has expanded into locations in Mississippi, Alabama and Ohio. 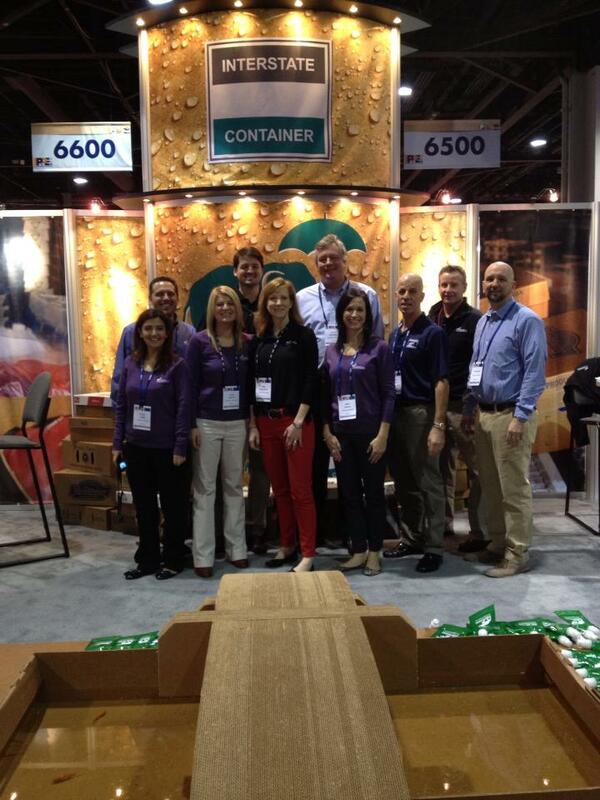 Interstate Container thanks all visitors! Interstate Container, a division of Interstate Resources, produces award-winning sustainable corrugated packaging solutions for food processing industries; retail and shelf ready packaging; counter, pallet and POP displays; shipping and transport boxes, custom dunnage and packing materials; and corrugated boards and sheets. 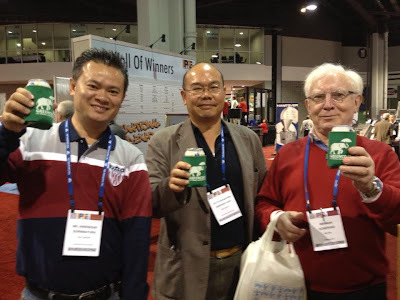 Plants are located in Lowell and Westminster, MA; North Brunswick, NJ; Reading, PA; Cambridge, MD; Asheville and Greensboro, NC; Columbia, SC; and Greeneville, TN. Interstate Container is a member of Interstate Resources Inc., a member of INDEVCO Group.